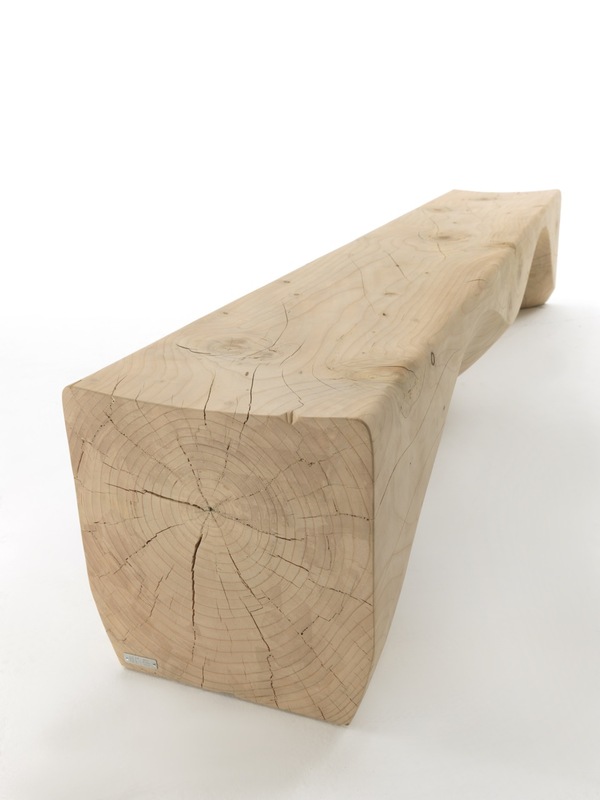 Bench made from a single block of aromatic cedar. Unique wavy and sinuous movement that evolves through an interplay of fullness alternated with emptiness.The products are made from completely natural leather and hand-finished without the addition of any treatment. 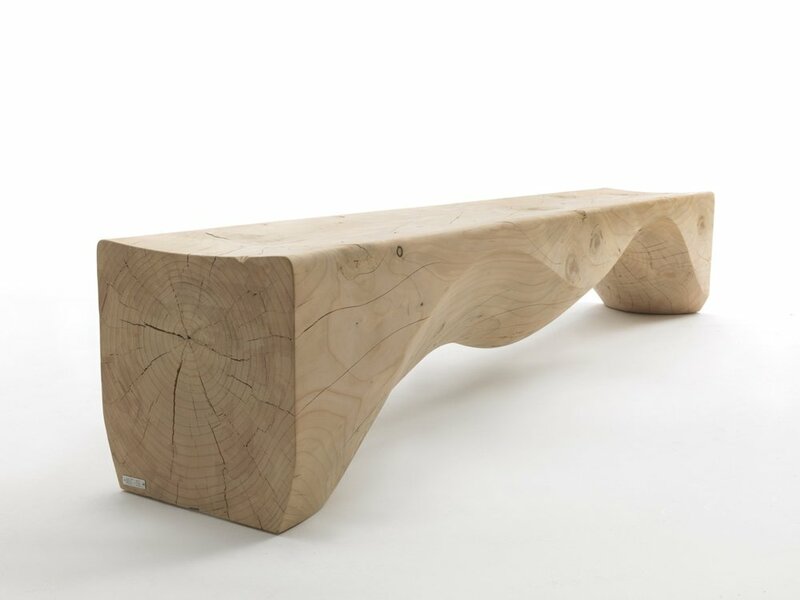 Movements, cracks and changes in the appearance of the wood are intrinsic characteristics of these items and result from the natural settlement and diverse environmental conditions.